Rusty Lantern Market is a deli that has multiple locations in Maine. The deli, which is also a convenience store, has been open for 1.5 years in Topsham, Brunswick, Portland and South Portland. 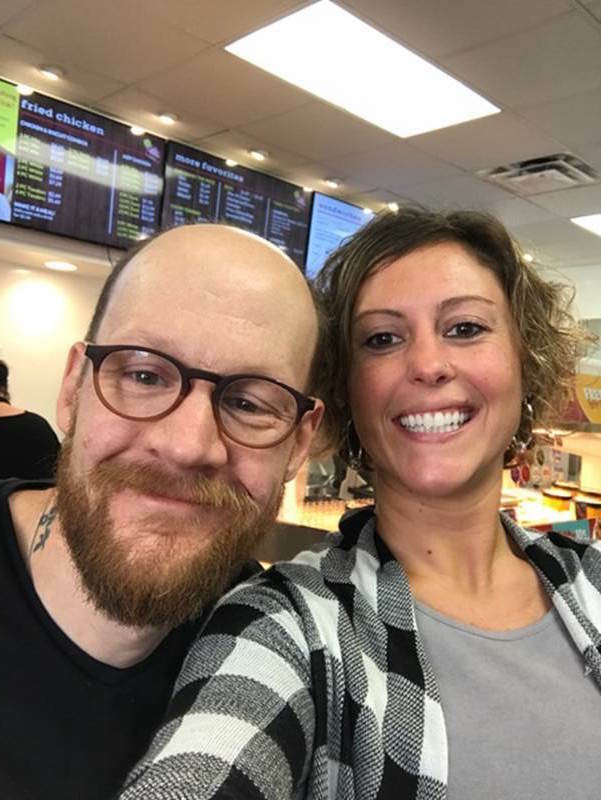 Food and Beverage director, Michelle (pictured along with kitchen manager, Jason, at Topsham), reports that their customers “enjoy the clean clear look of the screens, and it creates a more upscale look.” Stop in for some gas and stay for a sandwich or some coffee! 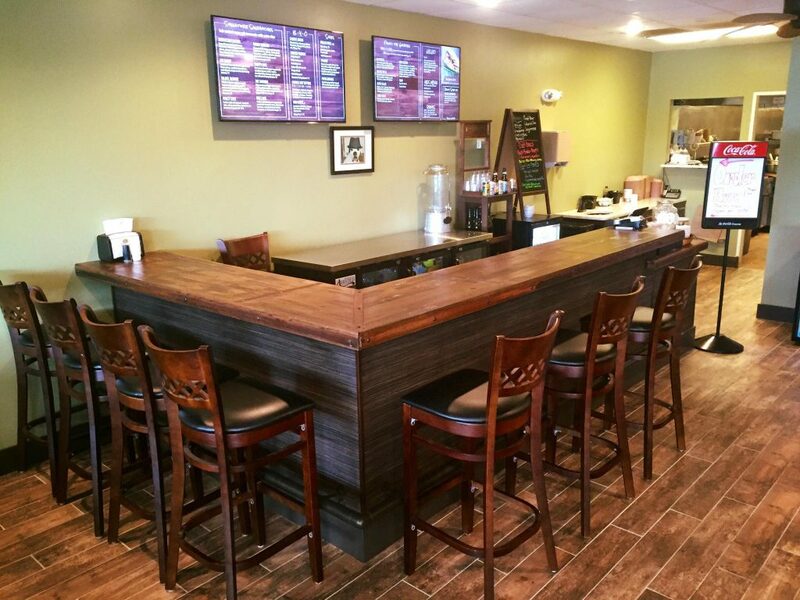 Are You Using Your Menu Board to its Full Potential? Many more restaurants and companies such as Cracker Barrel’s Holler & Dash, are shying away from traditional signage to digital signage. In a world that is so technologically advanced, make sure you are using your menu board to its full potential to stay ahead of the competition. 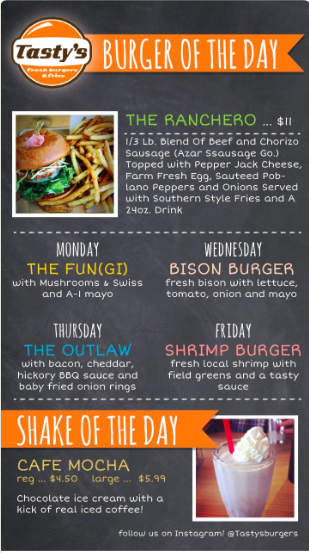 Make sure your menu board has a design that is catchy and fitting to the atmosphere of your restaurant. Chalkboard menus can be a pain to update daily or even seasonly. Menuat offers a chalkboard design, giving you your fun atmosphere without the hassle or mess. Pictures are worth a thousand words. Do you have a picture of one the items your restaurant offers? Instead of just item names and prices, show the customer what great meal they are about to purchase. You can even make a slideshow to show multiple items. Social media is all the rage. Show customers what awesome comments others visitors are making about your restaurant by integrating a Facebook or Instagram account to your menu board. SCHEDULE A DEMO with Stewart today to get the greatest menu board for your store! Imagine the coffee shop in FRIENDS, Central Perk, with a digital menu board. Here’s what it might look like! You see your latest social media post on the menu board. You see the shop is running a special on your latte. Your favorite holiday treat is back on the menu. All your friends agree Central Perk is the best hang out with the best menu board. Four years ago, in Douglas, Georgia, a fantastic pizza place popped up called Fireside Pizza. They are known for their authentic brick oven pizzas but serve soups, salads, and sandwiches as well. Fireside loves promoting new products and community events on their screens and has the flexibility to change specials daily/weekly. Stop in for a slice when you’re in Douglas! This week, we are proud to share Chef Tommy’s Flavor Palette! This international sandwich shop has been open in Ponte Vedra Beach, FL for about 7 months. From Moroccan Chicken to Italian Sliced Pork to a Falafel burger, this sandwich shop serves up a multitude of cuisines everyday. Chef Tommy highlights specials everyday that pair well with a specific wine or beer. He claims his experience with Menuat has been “very positive”. 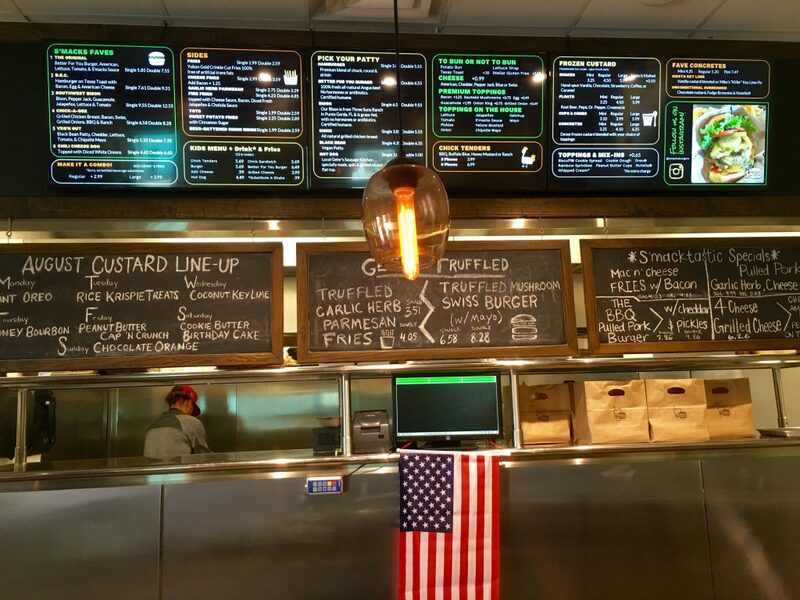 Customers compliment his menu boards and he likes that he can easily edit food costs, substitutions, and display pictures. Head to the beach and check him out! This Clarion Inn location is a full service hotel fully equipped with meeting and event space. It was built in Seekonk, Massachusetts in 1968 and the family that opened it in 1969 are still the current owners. Their digital signage features a local weather widget that many guests enjoy. 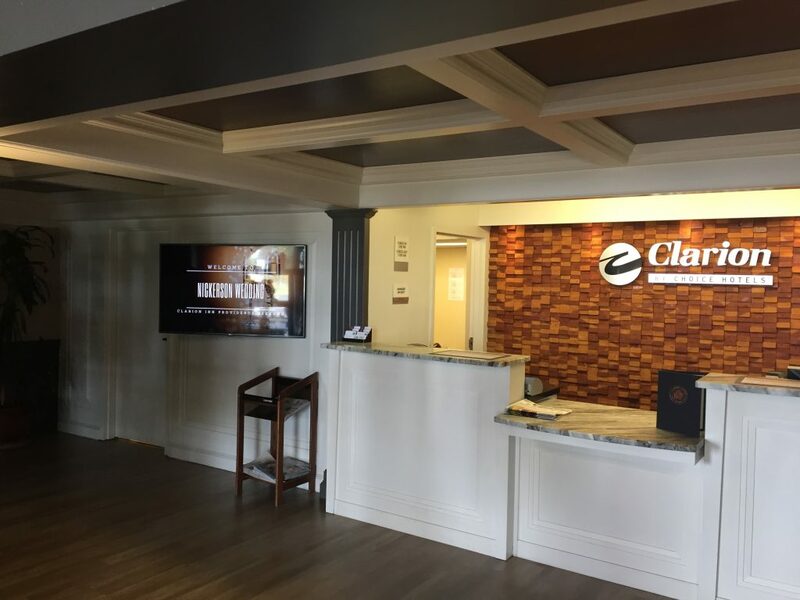 Because they are an event space, they host weddings and “most brides will take a picture because they love that we feature them.” Clarion Inn is also utilizes social media integration featuring their latest Facebook posts as well as their latest award, the Trip Advisor Certificate of Excellence. 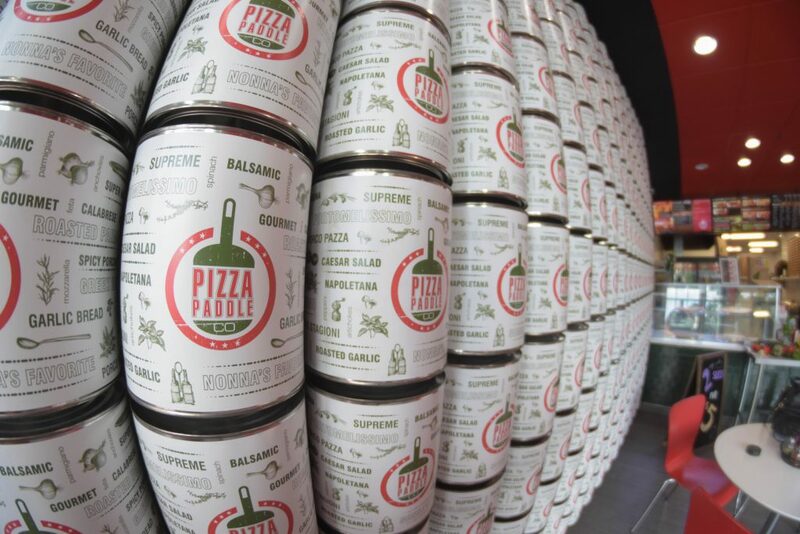 Pizza Paddle Co. in Jacksonville, FL is almost ready to celebrate their one year anniversary! This family’s mission is to serve up “UNCOMPROMISING COMMITMENT TO FRESHER, FINER DISHES.” They offer take-out and delivery from open to close and of course walk-ins are more than welcome! 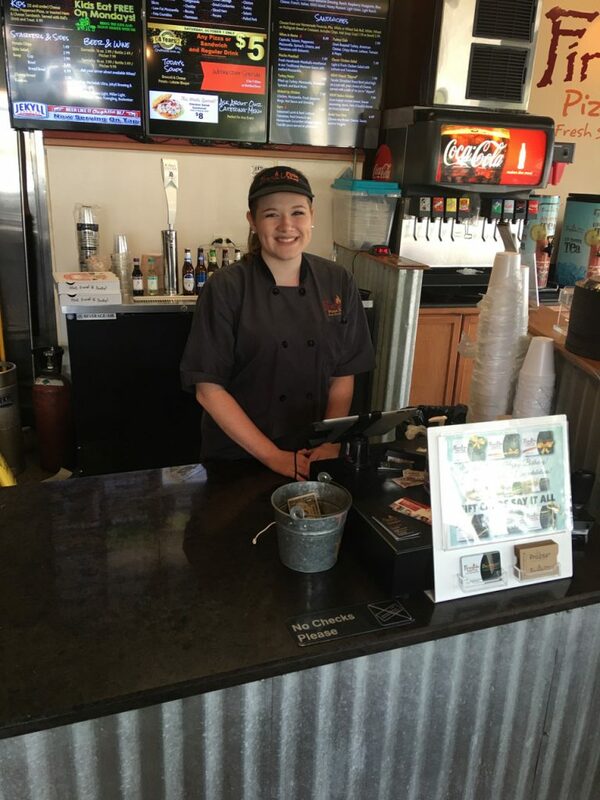 Pizza Paddle loves how their digital menuboard screens showcase all items with pictures giving walk-in customers the chance to decide on their meals easily and quickly. Be sure to visit the store for their lunch time special everyday of the week! delivery digital menuboards family business Florida Jacksonville Pizza Paddle Co.